OCTOBER 18 — The BAER teams’ assessment reports are posted online on our REPORTS page. Reports include the Mills Canyon Fire, the NE Carlton Complex, SW Carlton Complex, Duncan Fire, Little Bridge Creek Fire, Upper Falls Fire, and Chiwaukum Creek Fire. 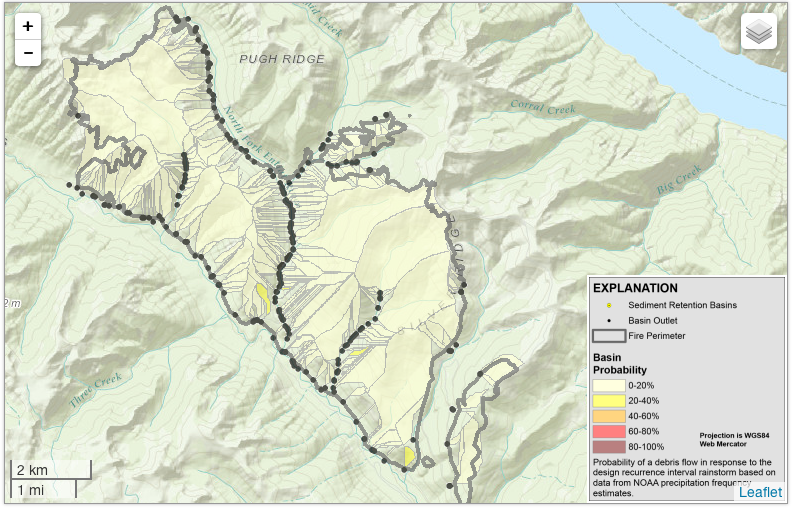 SEPTEMBER 08 — The map below displays estimates of the probability of debris flow (percentage), the potential volume of debris flow (in cubic meters), and combined relative debris flow hazard for the Duncan Fire. Predictions are made at both the scale of the drainage basin and the scale of the individual stream segments. Estimates of probability, volume, and combined hazard are based on a “design storm” with 10-year recurrence interval (i.e., a 1-in-10 chance of a storm of that magnitude occurring in any given year). Click on the map above to view the interactive map on the USGS site, then click the button at the top right corner of the map to view the different layers. More information on how the predictions are calculated, with details on the mapping and assessment process, is available on the USGS Landslide Hazards Program page. 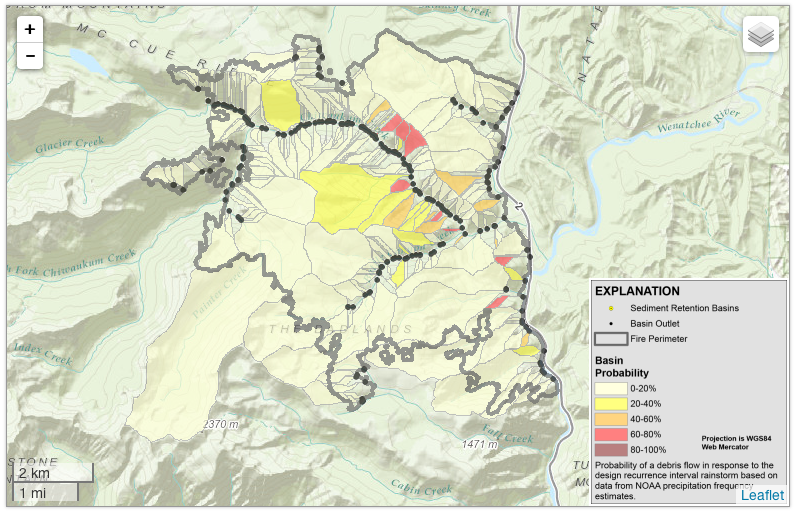 SEPTEMBER 08 — The map below displays estimates of the probability of debris flow (percentage), the potential volume of debris flow (in cubic meters), and combined relative debris flow hazard for the Chiwaukum Complex. SEPTEMBER 04 — The BAER team has completed its field verifications on National Forest System lands within the Chiwaukum Creek, Duncan, and Hansel fires and the southwest quadrant of the Carlton Fire. Soil burn severity maps for the fires listed above are now available on INCIWEB and [HERE]. The BAER team generated soil burn severity maps for each fire by using remote sensing imagery that was validated and adjusted during field surveys. The maps show the burn severity of soils and watersheds by categories of unburned or very low, low, moderate, and high. These ratings indicate the level of post-fire conditions for the soil and ground surface that is likely to affect water infiltration, runoff, and soil erosion. The higher the soil burn severity, the less moisture will soak into the soil when it rains. With less infiltration, there will be increased run-off and erosion with the potential of flooding. Field surveys and science-based modelling have been conducted to evaluate the condition of burned areas, determine potential watershed response, identify and assess critical values, and prescribe emergency treatments. Critical values are those that may be at risk because of conditions caused by the fire. These values include threats to human life and safety, property such as campgrounds or roads, and natural and cultural resources such as downstream water uses, critical habitat for threatened or endangered species, or heritage sites. The soil burn severity map is a key component of determining a level of risk to these critical values, and assessing risk-reduction treatments that will be most effective. The BAER team is compiling its findings in an assessment report that identifies immediate actions to address risks to identified critical values. The report and funding request will be submitted to the Regional Office for approval. Questions or comments can be directed to central.washington.baer.team@gmail.com or 509-433-7355. AUGUST 25 — The BAER team has begun on-the-ground assessments of watersheds, soils, wildlife, fish, roads, cultural sites, and infrastructure on the Chiwaukum and Duncan fires and the southern portion of the Carlton Complex. Team members are finalizing the Chiwaukum Fire assessment; they began work Sunday on the Duncan Fire assessment and started on the Carlton today. The process usually takes two to five weeks to provide risk predictions and initiate emergency stabilization and flood control measures before heavy rains occur. 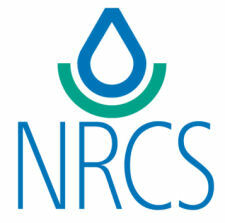 Recent and historic rainfall records are included as part of the assessment and the post-fire emergency measures. The team includes hydrologists, soil scientists, engineers, biologists, and archeologists. 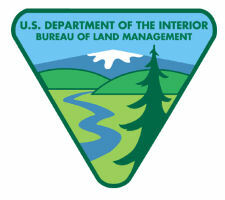 They identify post-fire threats to life, property, and natural and cultural resources. The BAER team recommends emergency measures to minimize threats from flooding and debris flows and requests funding for projects designed to reduce hazards. Though the BAER team addresses post-fire effects on National Forest lands, their assessment and recommendations are shared with local and state agencies — and other federal agencies — to help coordinate projects across jurisdictional and legal authorities. Questions or comments? Email central.washington.baer.team@gmail.com or call 509-433-7355. Evidence of “gullying” along Road 5210 — this road intersects with at least two smaller roads downhill before it reaches Dinkelman Canyon. Supporting the installation of two Automated Local Evaluation in Real Time (ALERT) stations within the fire perimeter. 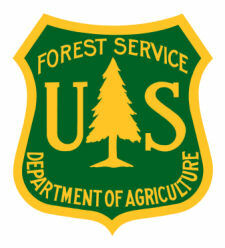 The team will work with USFS Procurement personnel on preparing and awarding contracts. There are requirements and specifications to be followed during contract administration. “This phase of the BAER process is different from responding to a fire,” said Kuyumjian, “The fire response is immediate. To implement these emergency treatments correctly, contracts must be written, specialized materials and resources located, and required equipment engaged.” Questions or comments? Email central.washington.baer.team@gmail.com or call 509-433-7355. AUGUST 22 — The incident management team on the Carlton Complex reported that heavy rains and strong winds affected operations on the Little Bridge Creek and Carlton Complex fires Thursday evening, causing flash flooding on the Carlton Complex and throughout the incident command post and fire camp on the Twisp-Carlton Road. A firefighter’s vehicle was swept off the road, trapping him temporarily in the vehicle till he managed to get out. He remained stranded across Benson Creek from the other firefighters on his division for about an hour. Two operations supervisors worked to find a safe place for him to cross, while also helping two citizens get to higher ground. AUGUST 22 — Flash floods and mudslides have damaged homes along Highway 153 after severe thunderstorms moved across the region yesterday. The Wenatchee World reported that Highway 20 between Twisp and Okanogan was closed, as was Highway 153 south of Twisp. A slide closed Highway 97 near Orondo, and hazardous road conditions were reported on Highway 97A, and an ABC News report indicated that some phone and radio towers were still out of service. Jeff Adamson with the Transportation Department said sections of Highway 20 and Highway 153 near Twisp were hit overnight and were still closed this morning. He said at least two slides were on Highway 20 in the 30-mile stretch east of Twisp to Okanogan, and an 8-mile section of Highway 153 is closed, although a detour was established. 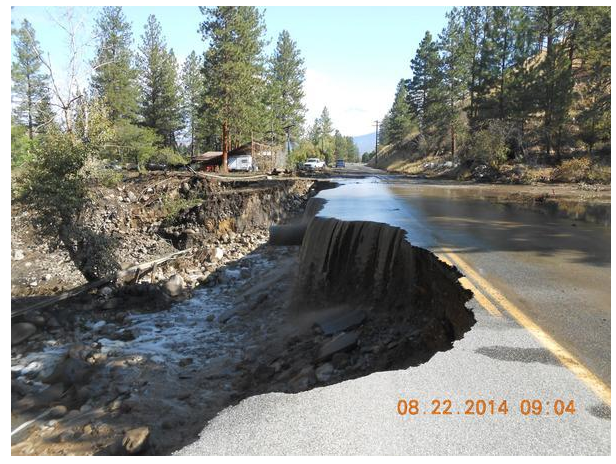 The Washington state Department of Transportation posted this photo today of damage to Highway 153 in the Methow Valley. CBS News reported that up to a dozen vehicles were stranded on Highway 153 by mud and slides; Washington State Patrol Trooper Darren Wright said state and county officers worked late Thursday night to get people out. National Weather Service meteorologist Matthew Fugazzi said more than an inch of rain fell in one hour near Twisp in an area burned by the Carlton Complex fires. For details on flash flood preparedness and safety tips, check our FLOODWATCH page. AUGUST 21 — U.S. Senators Patty Murray and Maria Cantwell and U.S. Representatives Doc Hastings and Dave Reichert today sent a letter to the head of the Federal Emergency Management Agency (FEMA) expressing disappointment in the denial of Gov. Jay Inslee’s recent request for individual assistance for families affected by wildfires. According to InsuranceNewsNet.com, they requested that FEMA reconsider the decision to deny housing support, disaster crisis counseling, and disaster unemployment in Okanogan County and public assistance in Chelan County. FEMA did approve funding for public infrastructure assistance. The Methow Valley News reported that the federal government has not indicated why the individual assistance request was denied. AUGUST 20 — Gordon King of the Yakima Herald-Republic posted several outstanding shots from Monday on his online photo gallery. 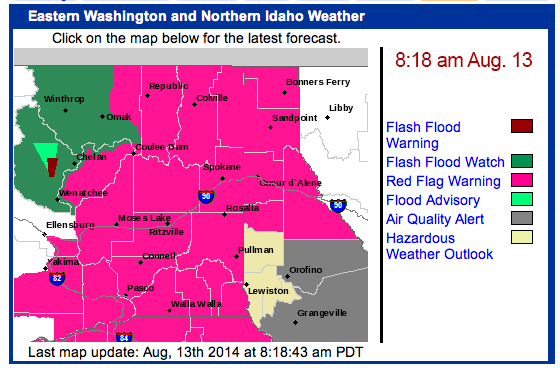 AUGUST 19 — The National Weather Service this morning issued a HAZARDOUS WEATHER OUTLOOK for parts of north-central Washington and northeast Washington. Thunderstorms are possible this afternoon, and some storms could produce heavy rainfall, hail, and frequent lightning. Gusty winds are possible in the area of thunderstorms. Storms are forecast from the east slopes of the Cascades to the Okanogan highlands this afternoon, and by mid-afternoon over the northeast mountains. Storms will likely move slowly to the east at 15-20 mph with occasional lightning; live lightning maps courtesy of LightningMaps.org are online. Brief heavy rain can be expected with large hail and winds to 35 mph. The storms are most likely over the higher terrain near Republic, Nespelem, and Conconully. The forecast for Wednesday through Monday includes isolated to scattered thunderstorms. 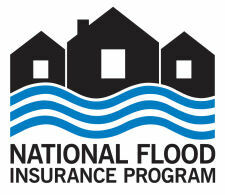 For more information on preparing for storms and flooding, check our FLOODWATCH page. Other closure information is available on the Carlton Complex inciweb site and the South Cle Elum Ridge Fire site. Road Closures: Finley Road #4100300 and Pole Pick Mountain Roads #4100500 and 4100535 are closed to traffic as they are impassable. Other short-term temporary road closures may occur in the burned area because of heavy equipment and personnel working on road repairs. Open: The North Cascades Scenic Highway Corridor and Harts Pass, and the east and west portions of the Pasayten Wilderness, Tiffany Springs Campground, Long Swamp, and Chewuch trailheads were not affected by the fires and remain open. All evacuation notices around the Snag Canyon Fire were lifted today; the fire was 81 percent contained this morning, according to the Daily Record. Road closures will remain in place in consideration of fire personnel and equipment still working in the area. Anyone with questions can contact the sheriff’s office emergency operations center at 509-933-8305 or the Snag Canyon and South Cle Elum Ridge fire information office at 509-731-3641. AUGUST 19 — Air quality is good across much of the state today; wildfires are still smoldering but not producing heavy smoke. Winds should increase today with the passage of a cold front and associated storms. 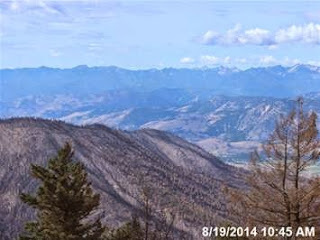 The smoke update site at Washington Smoke Information has webcam images from the Pasayten Wilderness area showing noticeably less haze over the last couple days. AUGUST 13 — Nearly a half inch of rain fell on the east slopes of the North Cascades overnight, wetting down wildfires in Okanogan and Chelan counties. National Weather Service meteorologist Jeremy Wolf said the NWS issued a flash flood watch because of the chance of rapid runoff from the burned areas. The Spokesman-Review reported that the risk of new wildfires ignited by lightning is a concern. A red flag warning is still in effect through tomorrow morning. 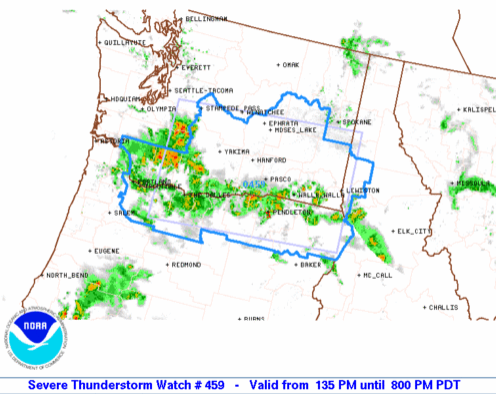 AUGUST 12 — Severe storms with high winds and lightning are moving from Oregon into Washington this evening. A live lightning map is available at lightningmaps.org and you can center the map and zoom in to any location. LIGHTNING SAFETY INFO from the National Weather Service: If you are outdoors, you are not safe anywhere outside. Run to a safe building or vehicle when you first hear thunder, see lightning, or observe dark threatening clouds developing overhead. Stay inside until 30 minutes after you hear the last clap of thunder. Do not shelter under trees. If you are indoors, make sure you are in a building with electricity and/or plumbing or a metal-topped vehicle with windows closed. Picnic shelters, dugouts, and small buildings without plumbing or electricity are not safe. Stay off corded phones. You can use cell phones or cordless phones. Do not use a cell phone connected to a car or home charger. Don’t touch electrical equipment or cords or any electronics that are charging. Do not lie on concrete floors or lean againt concrete walls. In a vehicle, avoid touching metal objects. If possible, pull over and wait out the storm. Lightning can blind you temporarily and heavy rain and flooded roads are life-threatening. 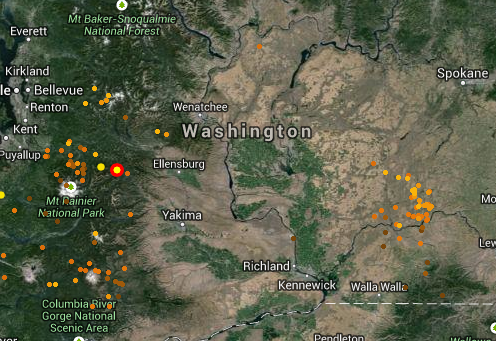 AUGUST 12 — The National Weather Service today reported that Washington was hit by 705 lightning strikes in a 24-hour period through Tuesday morning, mostly in western Washington. The wildfire danger in eastern Washington is elevated, with thunderstorms likely through early Friday. Some storms could include gusty winds and hail. Red Flag Warnings are in effect for most of central Washington, and a Flash Flood Watch is in place for portions of the state north of Ellensburg. Severe thunderstorms are predicted for much of the state for this evening, particularly in the Pasco / Walla Walla area. The Yakima Herald reported that thunderstorms should reach the Yakima area by 5 p.m., and the storms could be severe. “We’re watching for hail, heavy downpours, lightning, and gusty winds,” said National Weather Service forecaster Mike Murphy. 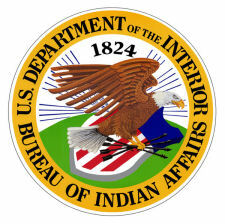 AUGUST 12 — The Obama Administration has approved federal assistance for Okanogan County and the Colville Confederated Tribes for repair or replacement of public infrastructure lost in this summer’s wildfires. Funding will be available for infrastructure such as roads, bridges, and public utilities. According to an AP story in The Republic, the funding is part of a disaster request that Gov. Jay Inslee submitted last week. 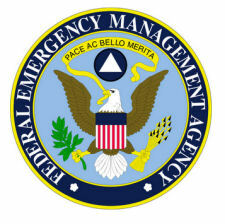 FEMA is still reviewing the request for funding assistance to individuals. AUGUST 11 — The Washington Department of Natural Resources (DNR) today extended the statewide burn ban to cover all outdoor burning on all DNR-protected lands, with no exceptions. Very high fire hazard conditions throughout the state have caused fires to spread rapidly. More than $91 million has been spent so far fighting this year’s fires, and more than 350,000 acres have burned across Washington. All outdoor burning on DNR-protected lands is prohibited, including recreational fires in campgrounds or anywhere on DNR-protected (i.e. non-federal) lands. Fireworks and incendiary devices such as exploding targets, sky lanterns, or tracer ammunition are illegal on all DNR-protected lands. Burning charcoal briquets is also not allowed. The statewide burn ban will run through September 30 and applies to all lands under DNR fire protection. AUGUST 10 — This year’s wildfires have damaged thousands of acres of wildlife habitat in Washington, and the Washington Department of Fish and Wildlife (WDFW) expects that the fires will have short-term and long-term effects on wildlife populations and the landscape. The Carlton Complex, for example, burned five wildlife area units — about 25,000 acres of land. 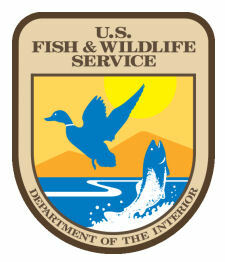 The wildlife units include Indian Dan and Pateros (near Pateros), Texas Creek (south of Carlton), Chiliwist (northwest of Malott), and Methow (near Winthrop). WDFW has sustained millions of dollars in damage to fencing and structures at the wildlife areas. The agency is busy assessing wildlife and habitat conditions and is evaluating road access at each unit. 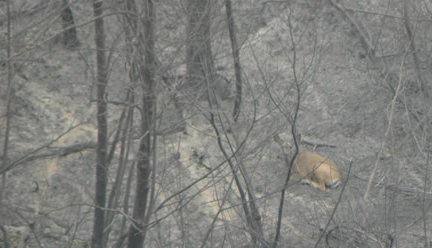 For more information on wildfires and wildlife, check the WDFW WILDFIRES page. AUGUST 10 — The National Weather Service this morning updated a HAZARDOUS WEATHER OUTLOOK for most parts of central Washington and eastern Washington, with forecasts of hot dry weather and unstable conditions for today and tonight, including temperatures of near 100 degrees for lower valley areas. Thunderstorms will develop this afternoon over Oregon and move north to Washington this evening, and dry thunderstorms are predicted from tonight into Tuesday morning. Expect strong thunderstorms on Tuesday; some storms may produce damaging winds, large hail, and heavy rainfall. Storms may continue into Wednesday, with lightning igniting new wildfires. AREAS DOWNSTREAM OR DOWNHILL OF FIRE AREAS WILL BE SUSCEPTIBLE TO DEBRIS FLOWS WITH STORMS THAT PRODUCE HEAVY RAIN. 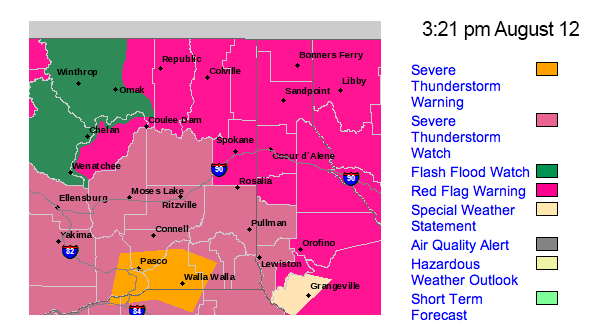 THIS HAZARDOUS WEATHER OUTLOOK IS FOR PORTIONS OF NORTH IDAHO… NORTH CENTRAL IDAHO…CENTRAL WASHINGTON…EAST CENTRAL WASHINGTON…NORTH CENTRAL WASHINGTON…NORTHEAST WASHINGTON AND SOUTHEAST WASHINGTON. HOT…DRY…AND UNSTABLE CONDITIONS ARE EXPECTED TODAY WITH MOST LOWER VALLEY AREAS NEAR 100 DEGREES. THUNDERSTORMS WILL DEVELOP OVER OREGON MONDAY AFTERNOON AND APPROACH THE WASHINGTON BORDER IN THE EVENING. ISOLATED DRY THUNDERSTORMS ARE POSSIBLE TONIGHT INTO TUESDAY MORNING ACROSS CENTRAL AND EASTERN WASHINGTON AS WELL AS NORTH IDAHO. LOCALIZED OUTFLOW WINDS AND BLOWING DUST COULD IMPACT THE COLUMBIA BASIN. ISOLATED TO SCATTERED STRONG THUNDERSTORMS WILL BE POSSIBLE REGION WIDE TUESDAY AFTERNOON AND EVENING WITH SOME STORMS CAPABLE OF PRODUCING DAMAGING WINDS…PENNY TO NICKEL SIZE HAIL…AND HEAVY RAINFALL. LIGHTNING MAY ALSO RESULT IN NEW FIRE STARTS AS STORMS CONTINUE INTO WEDNESDAY. BURN SCAR AREAS WILL BE SUSCEPTIBLE TO DEBRIS FLOWS WITH STORMS THAT PRODUCE HEAVY RAIN. The Mills Canyon burn scar of 2014 has the greatest increase in risk for debris flows and flash floods this summer. Risk of flash flooding from burned areas remains heightened for several years after wildfires, and previously burned areas that still have a higher risk of flash flooding include Mission Creek, No. 1 and No. 2 Canyons above Wenatchee, Crum Canyon, Oklahoma Gulch, Byrd Canyon, First Creek above Lake Chelan State Park, Colockum Creek, Tarpiscan Road, Bjork Canyon, and Eagle Creek Road. Don’t let flash flooding catch you unprepared. If you live (or are visiting) downstream or downhill of a burned area, you should be prepared and be safe. Several factors – including loss of ground cover, steep slopes, and intense rainfall – will increase the risk of flooding within the burned areas and on lands downstream of the burned areas. Until the burned areas begin recovery in the spring, little can stop the waters and mud from coming down the canyons. Reducing the risks to life and property is now the focus of numerous local and state and federal agencies, but area residents should develop plans to protect themselves and their property from the risks of post-fire flooding. AUGUST 10 — Residents in central and eastern Washington can expect very hot and dry conditions today and Monday, with low relative humidites and temperatures in the 80s and in some areas reaching 100 degrees. 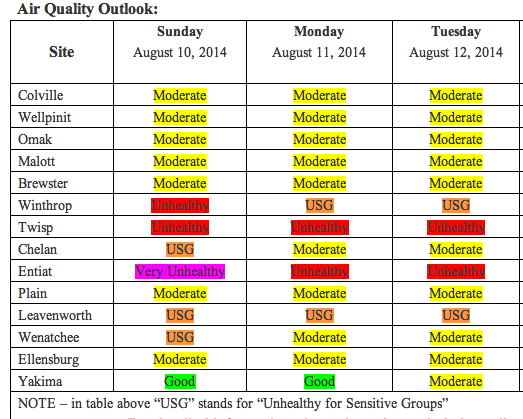 Residents of Winthrop, Twisp, Entiat, Leavenworth, and Wenatchee are advised to take precautions with outdoor activity, particularly “sensitive groups” such as the elderly or persons with respiratory ailments or conditions. Air will remain quite stagnant with light winds, creating the potential for thick smoke in areas near and downwind of fires, especially during night and early morning hours. Smoke dispersion will be generally poor, but that may improve by Tuesday as a weather system approaches. Thunderstorms and lightning are likely beginning late Monday. See our FLOODWATCH page for details. Additional information and current updates are available on the wasmoke.blogspot.com website, and extensive information on health and wildfire smoke is posted [HERE]. Over a dozen natural resource agencies and organizations will be available to answer your questions and concerns regarding post-fire recovery of the landscape. You can visit with representatives and pick up information relevant to your situation. 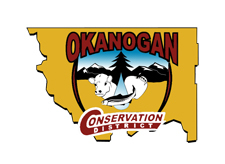 Groups will include Okanogan Conservation District; Washington Departments of Natural Resources, Fish and Wildlife, and Agriculture; U.S. Forest Service and the Natural Resource Conservation Service; National Weather Service; and the Methow Conservancy. This workshop will provide information to help you assess the effects of the fire on plants and soil, make you aware of post-fire risks to life and property, and provide resources to decide how to address the fire effects. Part of the workshop will be outside, in a burned area, so please wear close-toed shoes. This workshop is focused on restoration of the natural resources and agriculture. Due to limited seating, the workshop is capped at 40 people. Please email kirstenc@okanogancd.org or call 509-422-0855 x 5 to pre-register. AUGUST 08 — National Weather Service forecasters are cautioning western Washington firefighters and area residents about the possibility of strong thunderstorms late Monday and into Tuesday. The NWS hazardous weather outlook was issued this morning for the Moses Lake area, Wenatchee area, Waterville Plateau, and the east slopes of the Northern Cascades. THIS HAZARDOUS WEATHER OUTLOOK IS FOR PORTIONS OF CENTRAL WASHINGTON, EAST CENTRAL WASHINGTON, AND NORTH CENTRAL WASHINGTON. BREEZY WINDS WILL DEVELOP AGAIN THIS AFTERNOON AND EVENING AROUND THE WENATCHEE AREA, WATERVILLE PLATEAU, AND LOCALLY OVER THE WESTERN COLUMBIA BASIN. THESE WINDS COUPLED WITH LOW RELATIVE HUMIDITIES WILL LEAD TO ELEVATED FIRE WEATHER CONDITIONS, ESPECIALLY IN THE WENATCHEE AREA. HOT AND DRY CONDITIONS ON MONDAY WILL GIVE WAY TO THE POTENTIAL FOR THUNDERSTORMS IN THE CASCADES MONDAY NIGHT AND TUESDAY ALONG WITH BREEZY WINDS. THIS MAY LEAD TO NEW FIRE STARTS AND CAUSE GROWTH ON EXISTING FIRES. If you live in any of the listed areas, or other areas of the 2014 fires, especially if you are downstream or downhill of the burns, check for NWS hazards and warnings AT THIS PAGE. 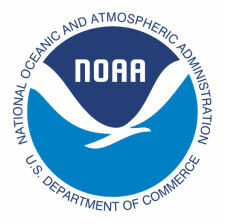 NOTE: Floods are the most common and costly natural hazard in the nation. Whether caused by heavy rain, snowmelt or thunderstorms, the results of flooding can be devastating. While some floods develop over time, flash floods are common after wildfires and can occur within MINUTES after the onset of a rainstorm. Even areas that are not traditionally flood-prone are at risk because of the changes to the landscape caused by fire. The NWS Spokane office at WEATHER.GOV/SPOKANE is regularly updated, and current info on fire areas at risk of flooding is available [HERE]. For details and resources on reducing your risks and preparing for storms, check our FLOODWATCH page. AUGUST 08 — A community meeting will be held at 7 p.m. Friday in the gym at the Twisp Community Center. Information Officers will also be in both Twisp and Winthrop today, and will be providing information about the Little Bridge Creek, Carlton Complex, and Upper Falls fires in the communities and surrounding area throughout the day. AUGUST 07 — Kittitas County sheriff’s officials areested an Ellensburg man last night suspected of starting a fire in the Yakima River Canyon; it burned to about 265 acres. The man was jailed with bail set at $250,000, according to the Yakima Herald. AUGUST 07 — The Devil’s Elbow Fire grew yesterday from 2,500 acres to 8,000 acres, expanding evacuations in several locations, including the Central Peak Mountain area west of Highway 21. Barricades are posted at some of the major roads. Highway 21 is also under evacuation orders from the South Nanamkin Road to the Bridge Creek Road. Yesterday the Deadhorse and Central Peak fires burned together; the Cub Creek Fire is about 1 mile northwest of them. These fires are burning along and above both sides of Highway 21 about 10 miles north of the town of Keller. More details are available [HERE]. 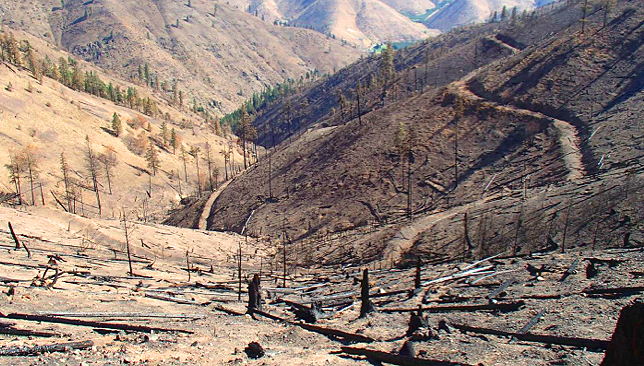 Numerous photos of the Devil’s Elbow Complex are posted on the KHQ website. AUGUST 07 — Gov. Jay Inslee today asked that parts of Eastern Washington be declared a major disaster area because of wildfires that have destroyed more than 300 homes this year. Federal disaster assistance would help families, business owners, and local governments recover from the fires. 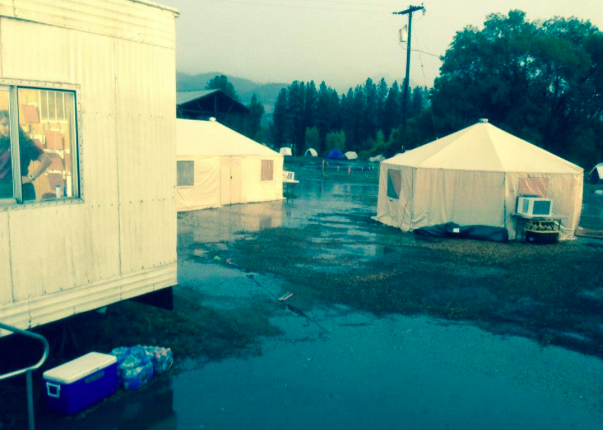 Inslee requested FEMA aid for Chelan and Okanogan counties and the Confederated Tribes of the Colville Reservation. 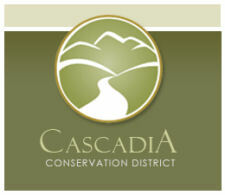 Evacuation levels were recently reviewed at a meeting with fire managers. Given the status of the Carlton Complex, Little Bridge Creek, and Upper Falls fires, evacuations are now in effect for the following areas. All other evacuation levels have been dropped. AUGUST 06 — Resource Advisors are identifying suppression repair work on the Rising Eagle Fire and the Carlton Complex. Repair of roads and firelines is under way. The Burned Area Emergency Response (BAER) Team is working to identify post-wildfire threats to human life and safety, property, and natural or cultural resources on National Forest System lands; the team will develop plans for emergency stabilization measures. AUGUST 02 — SEATTLE – Storms moving through Washington Saturday brought lightning, heavy rain, and hail. AUGUST 02 — TWISP — A new wildfire in north-central Washington forced the evacuation of about 200 homes Friday and closed part of State Route 20 as it burned near a command post set up for firefighters who continue battling the state’s largest fire. AUGUST 02 — Firefighters responded to five new fires in the area: two in the Alpine Lakes Wilderness on French and Black Pine ridges, one near the Little Wenatchee River, one near Merritt Lake Trail, and another in Panther Creek north of Lake Wenatchee. JULY 30 — (NPR) – The cost of fighting wildfires has skyrocketed, and the Obama Administration and some in Congress say it’s time to rethink how those dollars are spent. Okanogan County Sheriff Frank T. Rogers thanked all who donated to victims of the Carlton Fire Complex over the last two weeks, but says they do not need any more donations. JULY 27 — SEATTLE (AP) – The cost of fighting this season’s wildfires in Washington, has surpassed $50 million.